(Game competition here on DBolical.com) This is just a normal group for people who can win great prizes. 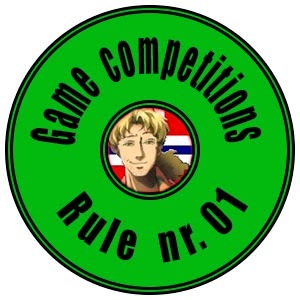 All competitions will have different marks on them, which will show who is sponsoring the game. The different contests to come is not sponsored by DBolical.com - As long as you have a DBolical.com user and a Steam user you will have permission to join the group. 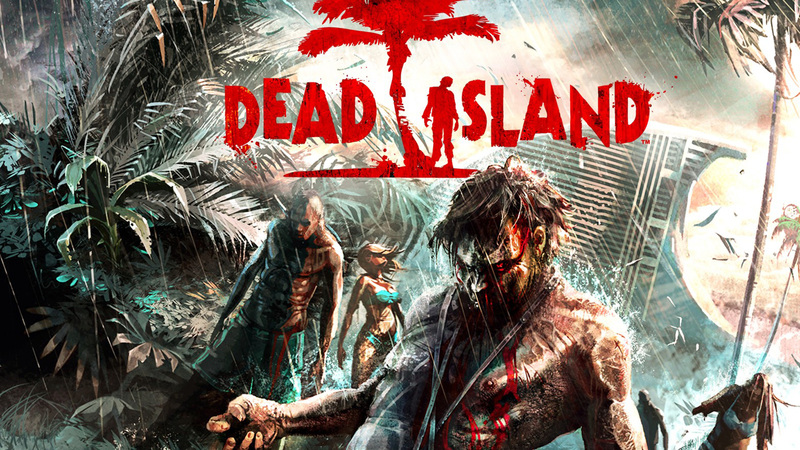 Halloween competition 1 of 4 / Now you have a chance to win a game called "Dead Island - Collection" In this contest will there be selected 3 lucky winners! First Halloween competition is out now, here you have a chance to win a game called "Dead Island Collection" In this contest will there be selected 3 lucky winners. 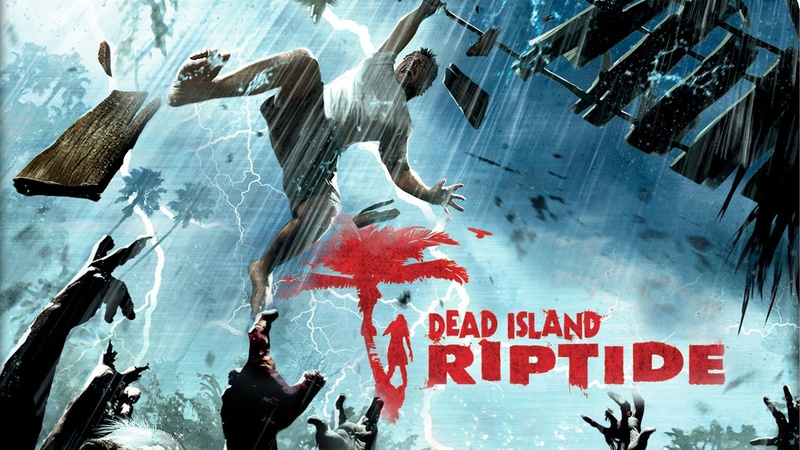 This package contains Dead Island Riptide, Dead Island: Game of the Year Edition, Dead Island: Riptide - Fashion Victim, Dead Island: Riptide - Survivor Pack. And no it is not only one who can win this, there are 3 that has a chance to win this incredible Zombie package! Question 01: What type of weapons will you use to kill zombie? Question 02: If someone in your family had been bitten, and you have no idea if there is a cure or not. What would you have done? Question 03: If you are going enter a house to find some food or something else there. Then you notice that there are some zombies in there. And there is a baseball-bat right next to you, which you can walk right in and start taking them out. Or there is also a knife that you can use to sneak in the house to take them one by one. What do you choose, or do you have a better idea? Three winners will be drawn in this competition. Question 01: shotgun & an fire axe. both good close range weapons & moderately powerful. Question 02: leave them in a cage for 2 days, if they growl, they get the firing squad, if not, i'll let them loose until we can find the cure. but they'll be closely monitored. 1:the brain need to be destroyed at all costs & the knife doesn't have the range or the force to do so. 2:you can't slit it's throat without blood coming out everywhere, even on you & that **** is contaminated & it's undead, their hearing so good, they can somehow even hear a ******* pin drop, so it will alert the others, so no stealth option is available. Question 01: AK47 and some melee weapon with a long range like machete or a sword ( muh katana). You'r gonna need something reliable in a zombie apocalypse time's short and you can get overrun anytime so your shoty should reliable aswell theres no time to spend on finding parts. Question 02: There's propably no cure for such a advanced disease so you gotta get rid of them it's what they would have wanted they wouldn't wanted to kill you while undead. Question 03: Baseball bat obviously long range and brute force. Just bash their heads in. with the knife your running into risk that your gonna get rekt by them either trough bites or get infected by blood spilling into your eyes or mouth. These games are so coool!! Enter this competition or zombies will be under your bed tonight!! 1) Melee weapons over firearms. Me and my father had a discussion yesterday on blunt weaponry vs sharp weaponry during a zombie apocalypse. We decided that the best weapon would be some sort of air-powered gun which fires retractable stakes. #1 I prefer melee weapons over the ranged. My weapon of choice would be a modern day tomahawk, easy to use, lots of power behind it, and one of your hands would be free to grapple or use another weapon. If the handle breaks from using it, it can easily be replaced. My backup weapon would be a pistol, with a high magazine capacity, caliber doesn't matter because i would be shooting to the head anyway so even .22 is enough. Also, a pistol would be used to defend myself and my family members against other "survivors" that are hostile. #2 I would go to hell and back to try and find the cure while keeping my family member alive. If i find it, great, if not and they die and turn, i would be the one to end them. #3 Knife is risky because you really have to get close and stab them in the head, there is a high risk of them overrunning me, also the knife can easily get stuck in the head and then i'm out of a weapon. In that case i'd get the bat and start cracking skulls. Tho if i had the weapons i wanted(tomahawk and a pistol as i mentioned in answer #1), id use that over the knife and a bat. 1. Weapon of choice for this kind of scenario can vary. Guns are not as bad of a choice as people like to think, but a melee weapon will also be just as good. What I would choose would be what is readily available until I can find something better. Faster, more accurate, less maintenance, better durability. It is also always nice to have a few backups. 2. They must be killed. Even if there is a cure, unless it is readily available and in my possession I would not risk it. Guaranteed survival of yourself and others who are not infected is much more important than the potential survival of someone who is infected. 3. Going in alone is a bad idea in general. You should always enter with at least 3 or 4 people, you will have a lot of area covered and be much safer. Though it depends on how well they are all equip, I'd assume we'd all at least have a weapon by this point as it's the most important thing in a situation like this. If we don't all have a weapon, then we'll have two people go in and one take the bat and the other the knife. Taking out Zombies one by one will not work, they are not normal people. Even if they don't have the sci-fi better senses, they are still in hordes. They are in tight clusters, so picking one off alone is a rare opportunity. 1. I will choose a baseball bat to quickly take out the zeds from the head or knock them out pretty easy. 2. If someone I am close to has been bitten what I would do is put him out of his misery and kill him from a single blw or shot, once the infection passed threw time the subject would experience great pain, hot fever, hunger and weakness. So its easier to just free this person of all of this suffer. 3. I would take as I already answered in the first question the baseball and would draws the zombies one by one for not creating a little horde that might put me on danger, once the house has been cleared out I check what is on the inside. 1. Riot shield and Baton, if it's good enough for aggressive protesters it's good enough for zombies. 2. Leave them chained in a compound and leave them behind while checking up on them every so often. It means that if the cure is available they can be cured and if now that are very little danger to anyone else because their chained and you don't waste resources. 3. Baseball bat because a blunt weapon would work better then a short knife and the advantage of range would help. 1. BOOMSTICK, thats the solution for everything, no pumping shells in, fast reload and it looks AWESOME. 2. I would kill them, for the sake of the group, besides, any excuse to use the BOOMSTICK is valid. 3. I would choose the bat, but once again the BOOMSTICK is the solution to every problem, hell, i dont think zombies are smart enough to justify wasting your time hiding inside cardboard boxes or some sh*t.